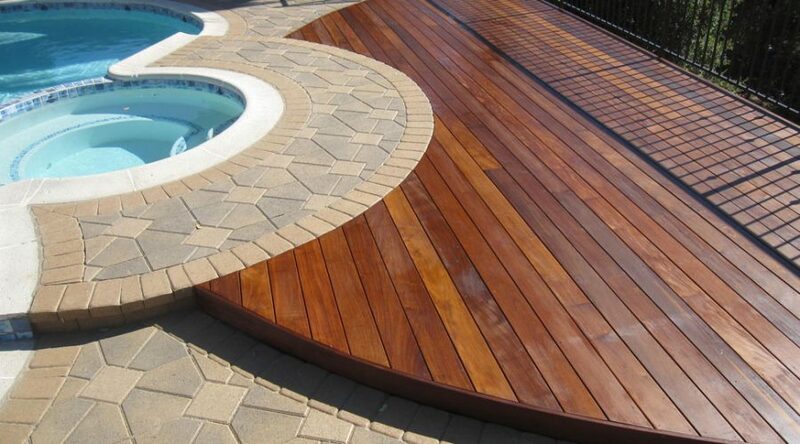 Gambrick is a custom NJ deck builder located in Pt Pleasant Beach, NJ, servicing all of Ocean and Monmouth County. 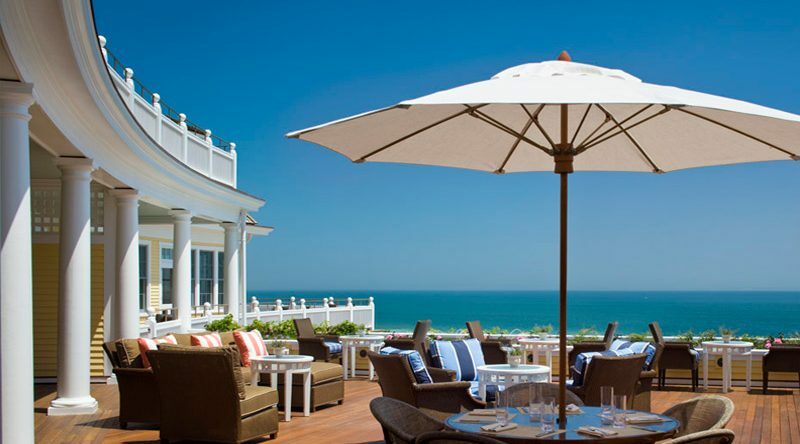 Building the Jersey Shores most beautiful decks for over 40 years. We work closely with our clients through every step of the design and construction process. 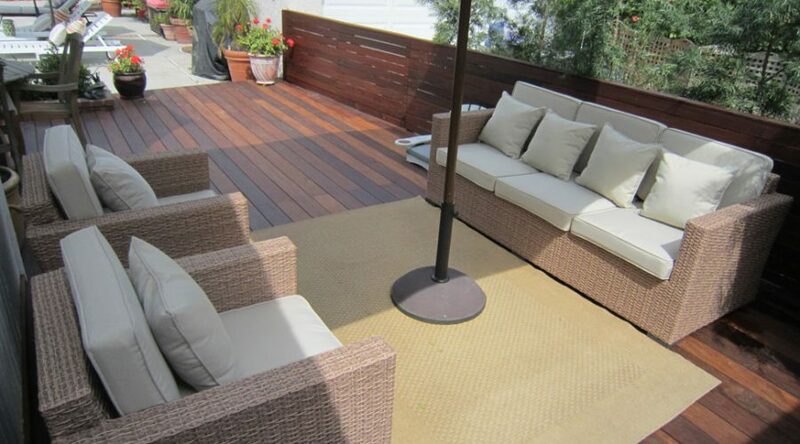 We’ll help you create a customized deck or outdoor living space that suits your individual needs and lifestyle. Quality workmanship and attention to detail assures projects are completed above and beyond our clients expectations. 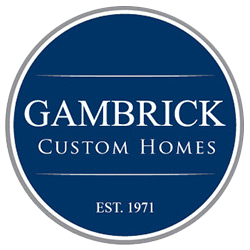 Gambrick is an expert on modern construction trends, methods and building materials best used along the Jersey Shore. Dedicated to the pleasure of custom deck building. We’re here to help develop your ideas and build in a way that exceeds all your expectations. With the talent, skill and experience to build the highest quality custom luxury decks and outdoor living spaces for our clients. 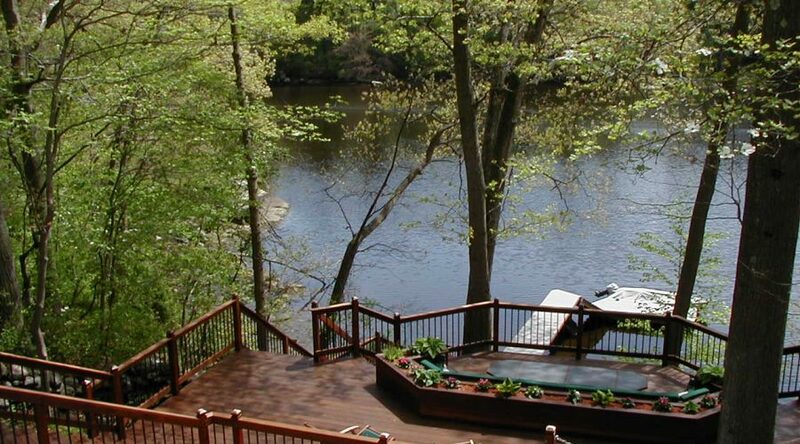 Gambrick is a NJ deck builder specializing in designing & building high quality outdoor living areas like decks, screened porches, patios and pergolas all around the NJ area. We design and create outdoor extensions of the home that truly belong and blend in architecturally instead of the traditional approach of raw or stained finishes which have been accepted for the past 25 years. 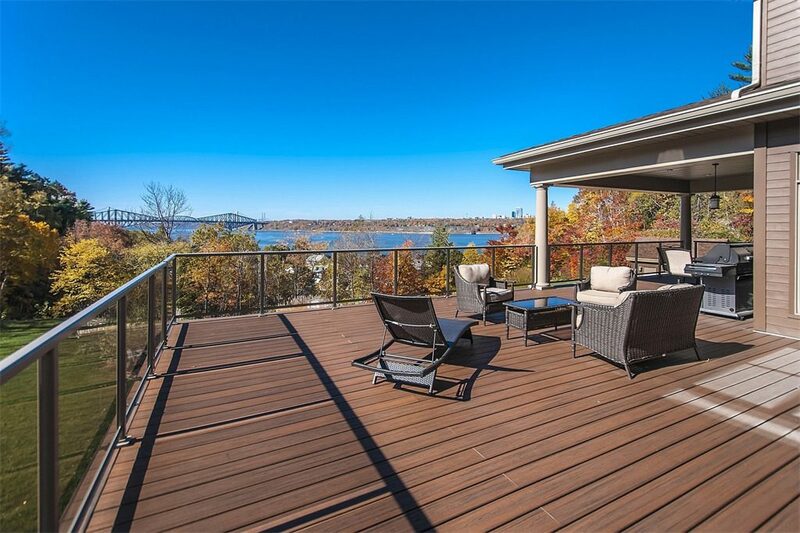 Our projects incorporate high performance composite decking and deck flooring like Trex along with low maintenance railing systems and trim as standard features because using these products will add value to your home and ensure your satisfaction for many years to come. Gambrick only sells products we believe in. We stand behind our work with a 10 – year structural warranty along with decking products that come with a 25-year “No Fade / No Stain Warranty”. 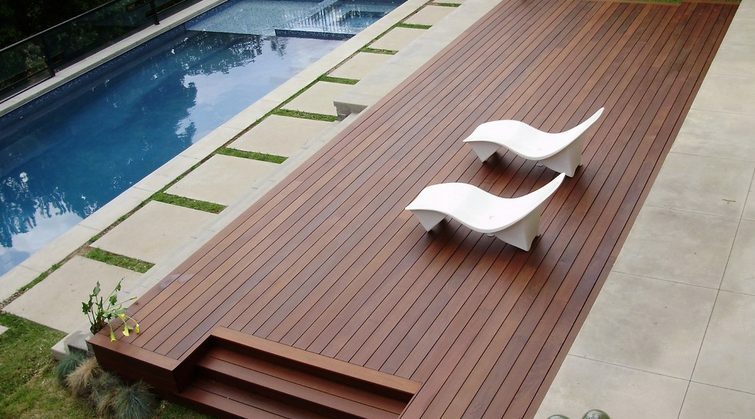 Our decks are designed to last and built with the very best materials. Hands down we offer the best warranty of any home builder in NJ. For more details on our warranty click here. 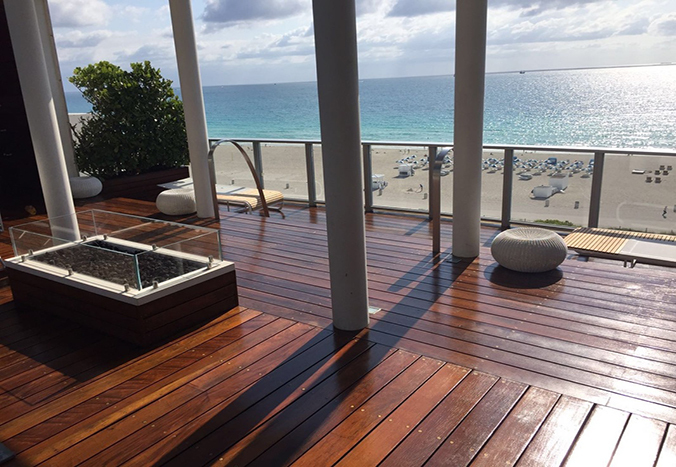 Traditional wood decks are typically constructed of pressure treated, weather resistant frames with pressure treated decking or durable aesthetic hardwoods like Ipe (Brazilian Walnut), Garapa Gold or Mahogany. 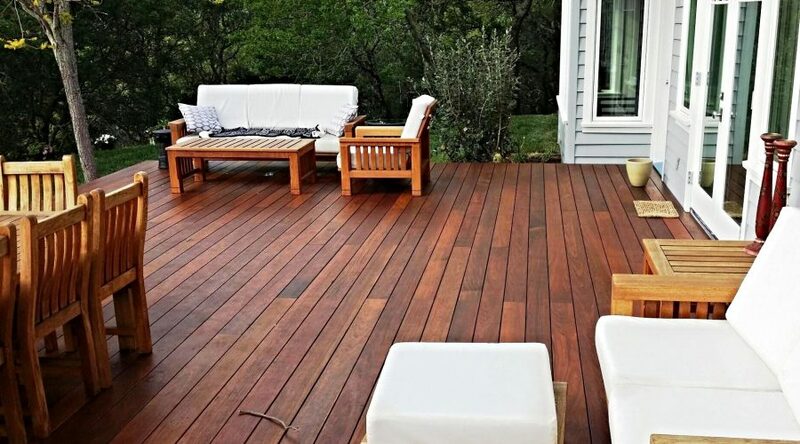 Wood decks can be very affordable but will require regular maintenance to ensure a long lasting element to your new outdoor living space. 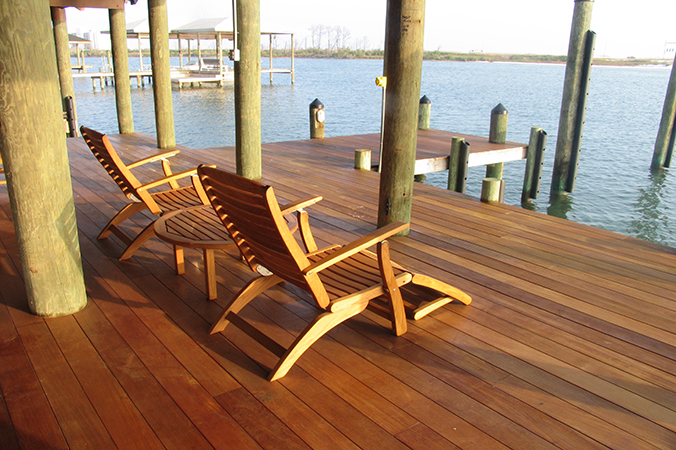 It’s hard to beat the beauty of a real wood deck. PVC and Composite decking materials such as Trex, Timbertech, Fiberon, or Azek offer end users a true plethora of color, and pattern options. They are durable, have much lower risks of rotting, require no staining, never warp or splinter, and are completely maintenance free. We also offer dozens of choices for railings such as iron, white, pvc, glass or mahogany and install accessories such as deck lighting, outdoor speakers, tvs, etc. 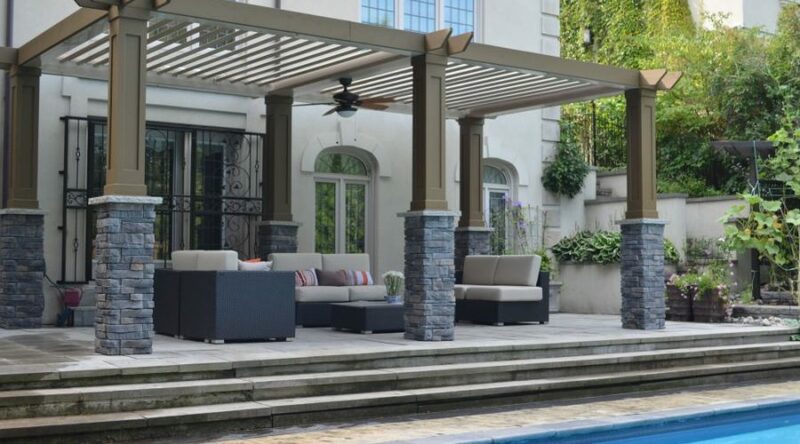 Get more use out of your new deck on the hottest days of summer by adding some shade from a pergolla. Clients can choose from an endless variety of shapes, sizes, styles and materials. Pergolas, canopies, trellises, gazebos… the choice is yours! 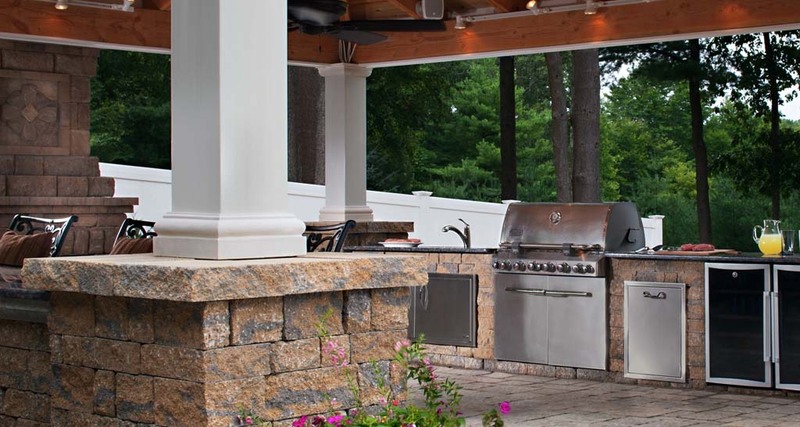 No Luxury outdoor living space is complete without an outdoor kitchen. Much more than just a typical NJ Deck Builder. Gambrick offers full product lines from Viking, Lynx, Weber, DCS, Marvel, and Zephyr. 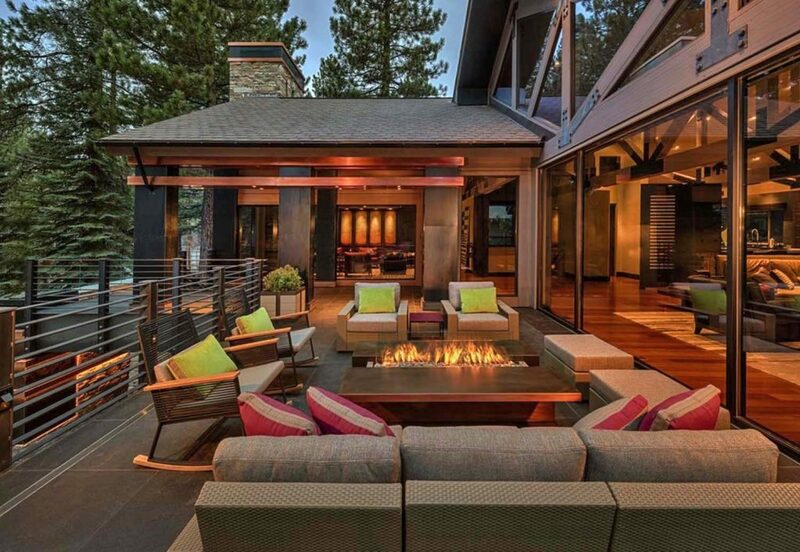 In today’s homes the backyard has truly become an extension of your living space. Gambrick has been at the forefront of creating unique outdoor living spaces for over 40 years. We are your source for custom designed outdoor kitchens. We offer a wide selection of materials, brands and unlimited design options for you to choose from. An under deck drainage system – also called an under deck ceiling or dry deck – keeps the space underneath your second story deck dry. 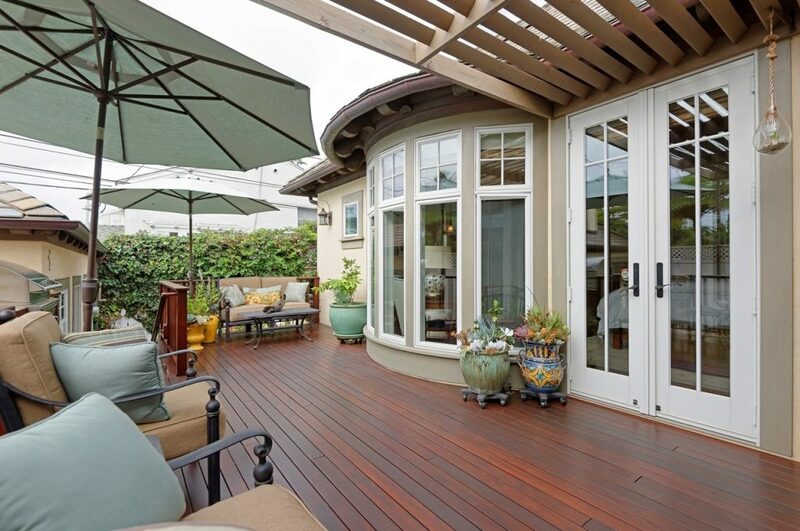 Imagine the benefits of having the entire area under your 2nd story deck be usable in any weather condition. Create a place to have your BBQ year-round and never cancel a cook out due to bad weather! Or maybe a private hot tub retreat to soothe away those stressful days? Sit out under your deck and watch the snow fall or stay cool in the shade on hot summer days. Under Deck is an all-aluminum system that captures the excess water from your second story deck using specially designed ceiling panels. The panels allow the water to flow into a rain gutter and away from the house, keeping the space beneath your deck dry and usable. 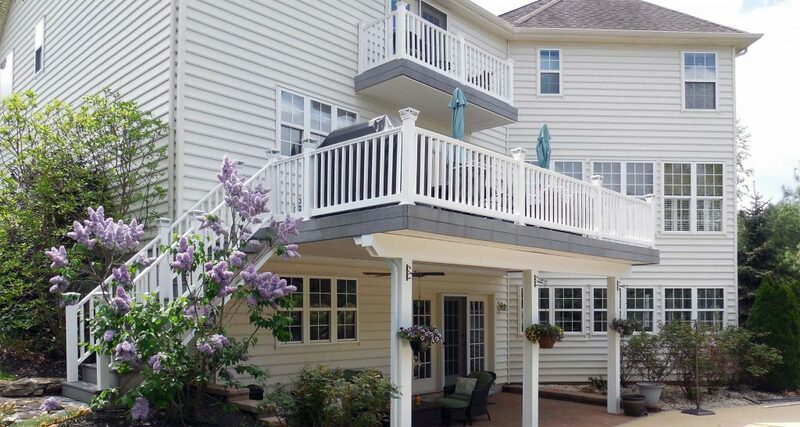 #1 Deck Builder Monmouth County NJ. Whether you love to entertain family and friends or just want a personal backyard retreat, we have the knowledge, experience and professional design skills to turn your desires into reality. With over 500 decks and patios to our credit, you can feel confident in getting a beautiful finished product with 100% complete satisfaction. 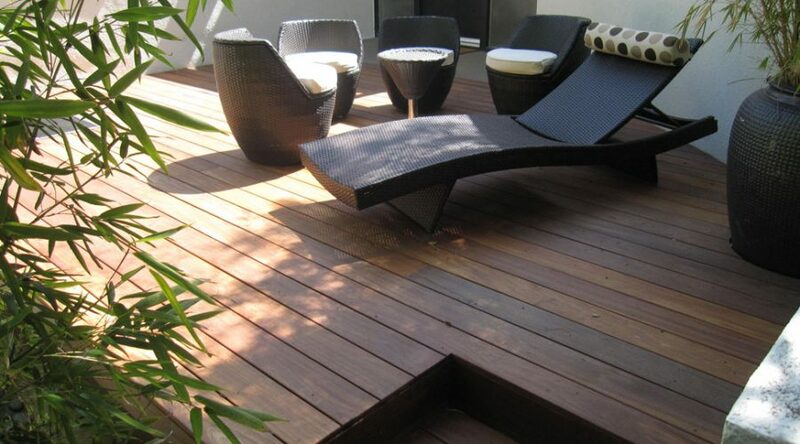 We design and install decks on below or above ground and any type of shape. 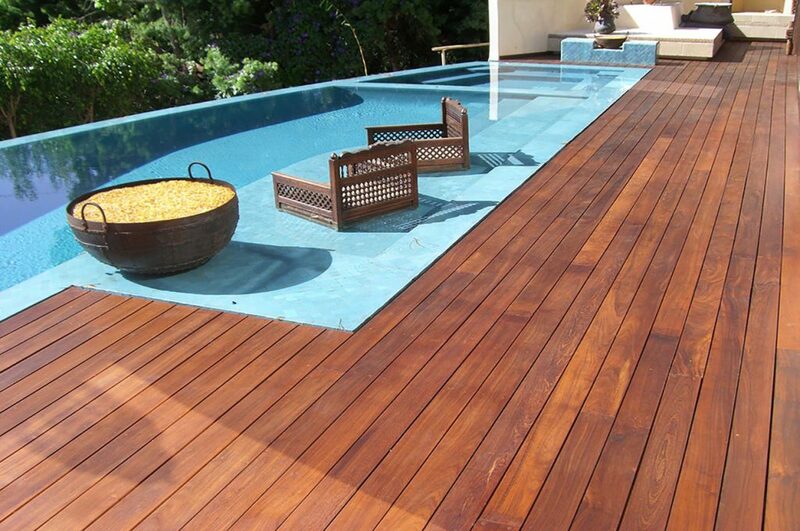 Our pool deck designs and installations will not just look beautiful but create added value for your property. There are quite a few options for you to choose from when it comes to lighting a deck. You can opt for outdoor fluorescent light fixtures, solar lights, or even traditional incandescent fixtures. However, if you’re installing a new system from the ground up, choosing low voltage LED deck lights is by far the best option. First and foremost, LED light bulbs use a fraction of the power of any other type of light fixture. This even includes compact fluorescent bulbs, which are highly touted as a great, energy efficient option. This will save you money on electrical bills throughout the year and makes the slightly higher upfront cost for the fixtures worthwhile in the long run. In other words, over time LED light bulbs pay for themselves and save you money each and every year you use them. Another great benefit of LED lighting is that you won’t have to change the light bulbs very often. The filaments in incandescent bulbs break fairly easily and the mercury in CFL bulbs wear out with regular usage. However, the hydrogen gas in LED lights can last for years and still function properly. Some customers say they never have to change a single one of the LED light fixtures even after years of continuous use. Finally, LED lights have several advantages over solar lights as well. Solar lights need lots of direct sunlight for them to work at their peak levels. Good luck using a solar light after a day of shade. And they’re very limited in styles, sizes and colors. However, installing low voltage LED lights solves both of these problems. No longer will cloudy days ruin your entertaining nights. Why choose Gambrick as your new deck builder? Because our team offers you over 40 years of experience in outdoor remodeling, construction, and design. Because our workmanship and attention to detail are second to none. 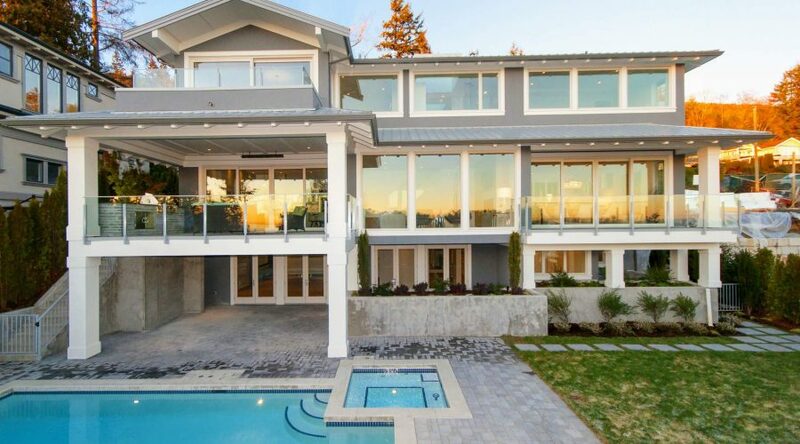 And because we’ve received many awards, both local and national, in recognition of our outstanding design and construction in both new home construction and outdoor design and construction. Most importantly, because you can trust us. We’ve been a top rated local deck builder for over 40 years. Aberdeen Township, Allenhurst, Allentown, Allenwood, Asbury Park, Atlantic Highlands, Avon-by-the-Sea, Belford, Belmar, Bradley Beach, Brielle, Cliffwood Beach, Colts Neck, Deal, Eatontown, Englishtown, Fair Haven, Fairview, Farmingdale, Freehold, Hazlet Township, Highlands, Holmdel Township, Howell Township, Interlaken, Keansburg, Keyport, Lake Como, Leonardo, Lincroft, Little Silver, Loch Arbour, Long Branch, Manalapan Township, Manasquan, Marlboro Township, Matawan, Middletown, Millstone Township, Monmouth Beach, Morganville, Navesink, Neptune City, Neptune Township, North Middletown, Oakhurst, Ocean Grove, Ocean Township, Oceanport, Port Monmouth, Ramtown, Red Bank, Roosevelt, Rumson, Sea Bright, Sea Girt, Shark River Hills, Shrewsbury Township, Spring Lake, Spring Lake Heights, Strathmore, Tinton Falls, Union Beach, Upper Freehold Township, Wall Township, Wanamassa, West Belmar, West Freehold, West Long Branch, Yorketown.